Like his brothers, Neil, Gordon and Billy, Les McAteer seemed destined to follow in the footsteps of his cousins, Billy and Pat, and take up boxing. 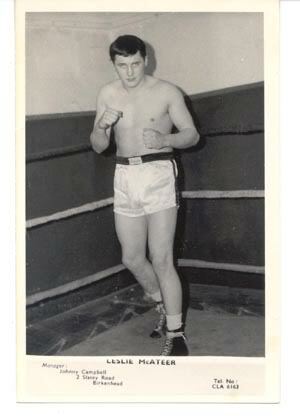 Les started up early aged nine and joined the famous Willaston ABC in Birkenhead. His brother Gordon was also there and over a period of ten years had around 150 contests, winning 130 and losing 20. “I just had to take up boxing with a name like McAteer. 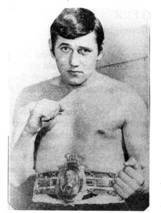 Again it was only natural that I turned professional and at the age of twenty I joined the Johnny Campbell stable in Birkenhead. He was a great character and we all thought the world of him”. 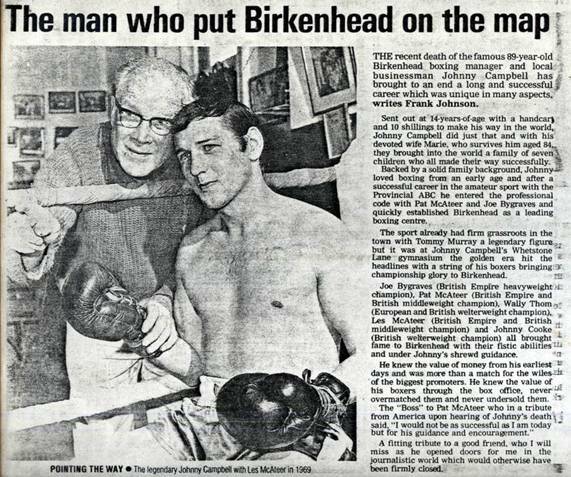 Les and Gordon are both staunch supporters of Wirral Ex Boxers and Merseyside former boxers .